Removing a circle from the center of our pie yields the “donut”. 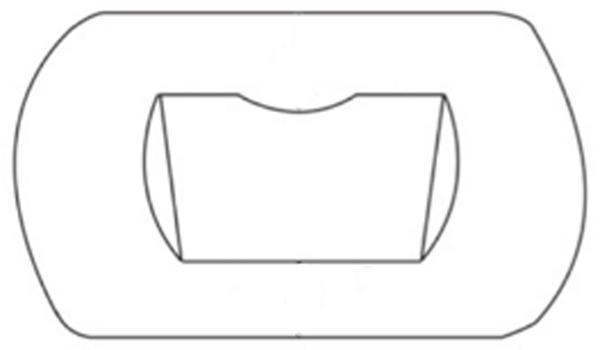 The purpose and size of the “donut hole” can very from size needed to apply a central motif whether in knit, crochet, or other form, to one large enough to allow for insertion of a “back piece” that can be anything from a “square” to one that included a bit of shoulder, armhole, even neck shaping and an optional curve at the waist/hip area. Additional rows of plain knitting in the “donut” itself alter the final forms. 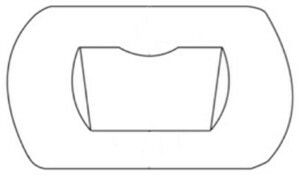 Seaming can occur where preferred; direction of pattern repeats if in use further influence choice of seam placement. If miter shapes are created in the knitting method, the corners of the triangles will want to “poke out”. This can be a purposeful design feature. If they are not wanted one way to soften them is to have stitches for at least an inch at the outer circumference of the circle knitting with no shaping in that area, adding a border, going the spiral route. Swatching helps determine preference in creating personal designs. Small scale paper collages sorting out geometric shapes and joins can inspire the large form variations.